The human body is not just a passive device carrying out messages sent by the brain, but rather an integral part of how we think and make decisions. 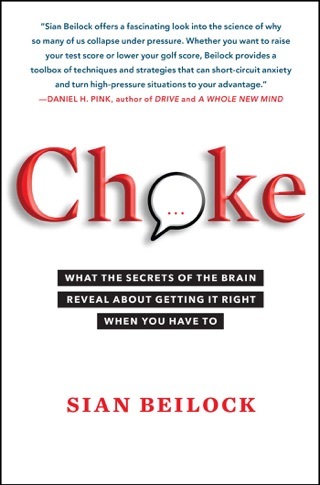 In this groundbreaking book, Sian Beilock, award-winning scientist and author of the highly acclaimed Choke, draws on her own cutting-edge research to turn the conventional understanding of the mind upside down in ways that will revolutionize our lives. At the heart of How the Body Knows Its Mind is the tantalizing idea that our bodies “hack” our brains. The way we move affects our thoughts, our decisions, and even our preferences for particular products. Called “embodied cognition,” this new science—of which Beilock is a foremost researcher—illuminates the power of the body and its physical surroundings to shape how we think, feel, and behave. For example, pacing around the room can enhance creativity; gesturing during a speech can help ensure you don’t draw a blank; teaching kids through body movement helps them learn better; walking in nature boosts concentration skills; using Botox could lead to less depression; and much more. 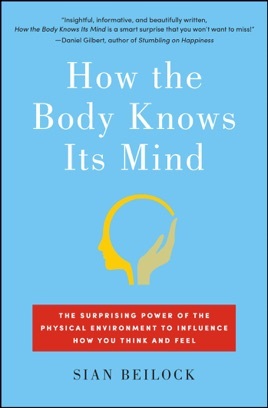 “Insightful, informative, and beautifully written” (Daniel Gilbert, author of Stumbling on Happiness), How the Body Knows Its Mind unveils a wealth of fascinating mind-body interconnections and explores how mastering them can make us happier, safer, and more successful. Though the brain is the organ most commonly associated with thinking, psychologist Beilock (Choke) makes a fairly fresh case about the rest of the body's contribution to the process. The book begins with the premise that the body's interaction with its physical surroundings affects cognition, and Beilock goes on to show how the body can be used to manipulate everyday perceptions. She builds her argument with a variety of anecdotes and cultural references. Often these examples flip conventional wisdom to highlight the influence of our body on thought. For example, she connects the correlation between musical ability and IQ to finger dexterity. While her explanations are thought provoking, they rely on varying conceptions of the term "body," weakening the central argument and making it hard to follow. It's unlikely that readers will come away with a new understanding of cognition, but Beilock does offer an unconventional perspective that will, at the very least, stimulate the mind.